Having your wood floor distressed is becoming more and more popular even fashionable as we have found out with supplying wood floors to fashion shops such as Diesel and John Varvatos. If your property is Victorian or Edwardian it will definitely have characteristics of that period. Distressed wood emanates the effect of the old but traditional beauty. It will also improve with age especially when it is fumed just like how the wine tastes better when it is older. 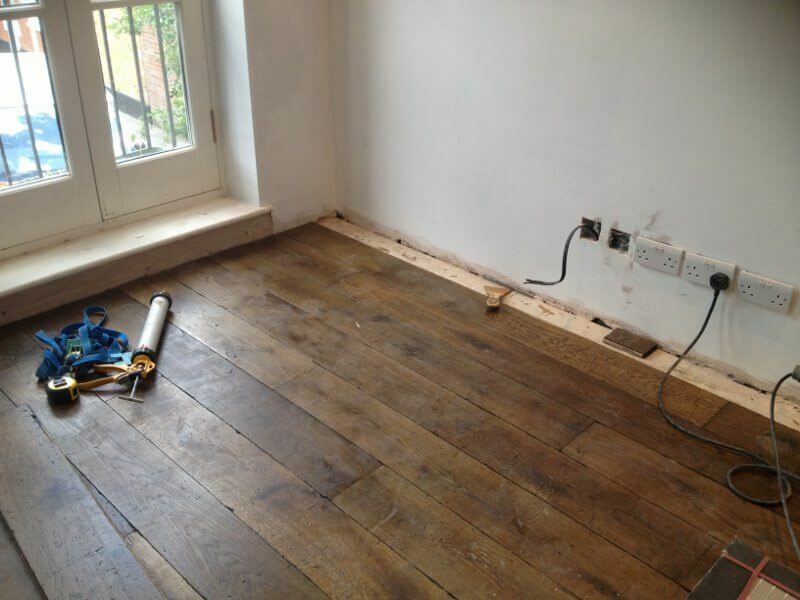 Some customers would love to get their hands on the real old oak flooring or reclaimed flooring, which still can be found in century old structures like churches, castles, trains but it will come at a high price as much as £200 per m² for reclaimed oak boards. 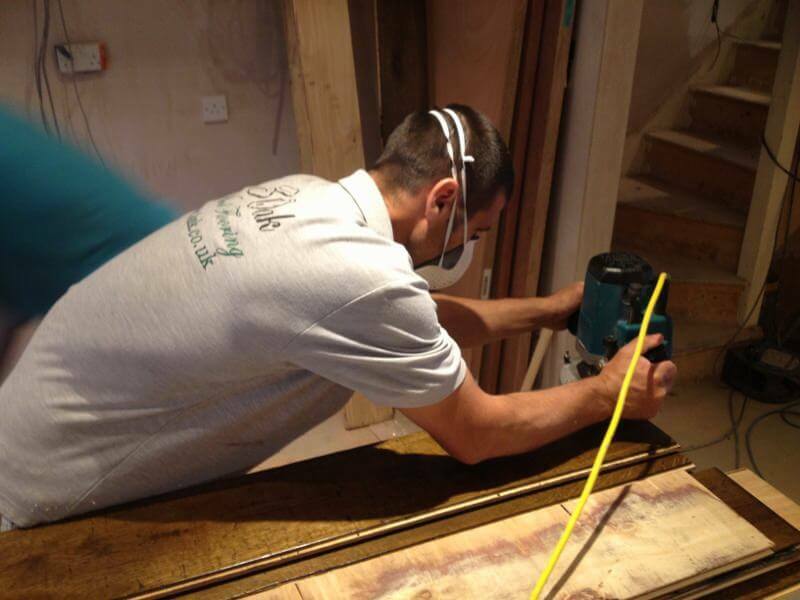 Fitting a distressed floor has to be done by a competent fitter as there is a high chance that the tongue and groove will be damaged during the distressing process. 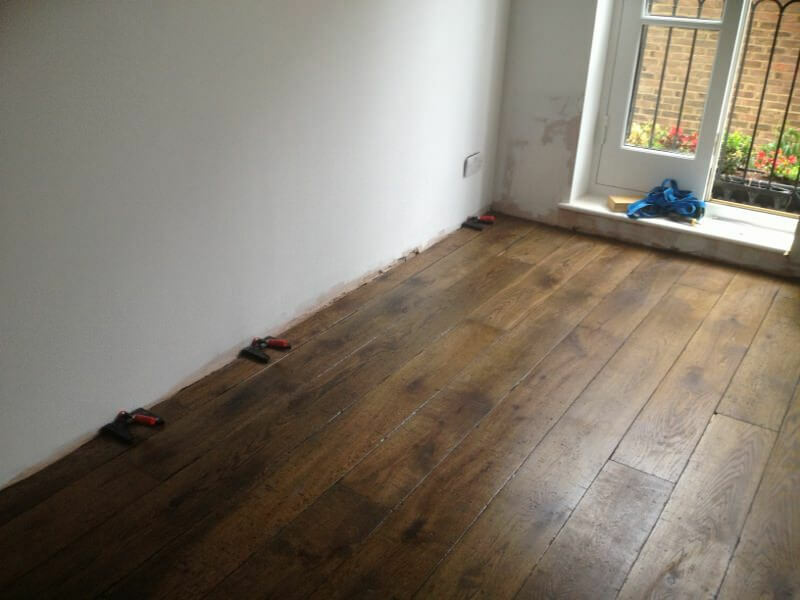 Therefore installation of an aged floor requires extra time and skill in order to achieve a proper installation and a tight joint between the boards. Buying reclaimed wood flooring more often than not will be double the cost that the oak floor that has been newly distressed. You can get your wood flooring looking like a family heirloom, or even older than that distressing your new oak floor. Being a wood floor expert gives the opportunity to encounter so many interesting clients with different specifications and requirements for wooden flooring, especially in London. Sometimes they prefer to have the wood to be as if it had been there for many years. - Due to its worn appearance it is very practical for domestic premises, as minor damage will only increase the characteristic of an aged wood. - Distressed flooring does not require the same level of care as a perfect lacquered product making it ideal for families with children and pets and those that want to do less maintenance. - Areas of a distressed or aged floor can be repaired locally and very easily without the need to restore the entire floor. - Future dents and scratches will add to its appearance and will make it look better with age as well as improve authenticity. - Distressed wood flooring is slightly more expensive than a normal pre oiled product due to the cost of distressing the surface. 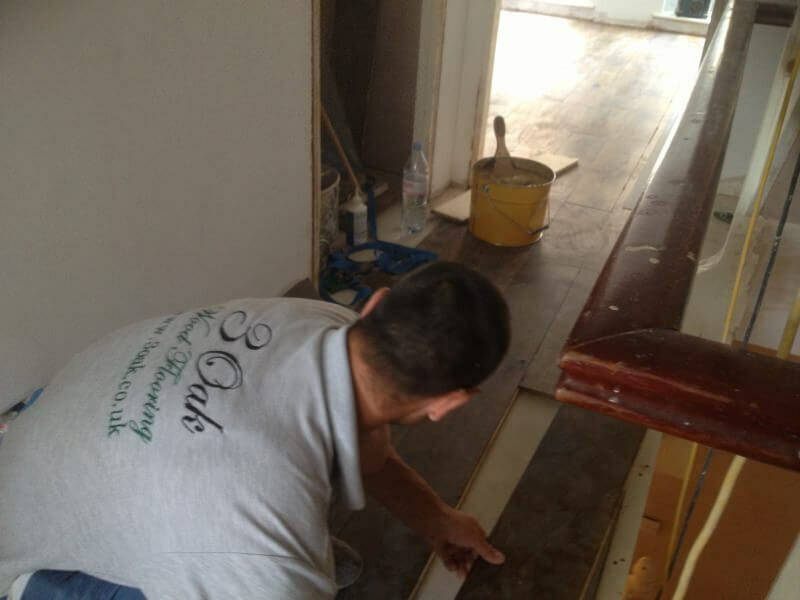 - More time is needed to fit the floor and should only be done by competent and experience craftsmen. Most contemporary properties owners in Kensington and Chelsea, West London are looking for the aged feel. Surprisingly it works, so if you want a look as old as the floorboards of sunken ships at the time of new world exploration get in contact with 3 oak wood flooring.